I’ve observed something about Nigerians: whenever an individual tries out a particular business and succeeds at it, everyone quickly jumps on the bandwagon, hoping to make quick money. The same story runs true for blogging. Since it became well known that the likes of Linda Ikeji are earning huge figures from blogging, there has been a very sharp increase in the number of Nigerian bloggers — mediocre bloggers who jumpstarted blogging with little or no knowledge of what blogging entails. But because blogging didn’t give them the overnight riches they expected from it, many had abandoned their blogs. Poor guys! They’ve been told that all they needed to do was set up a simple blog on Blogger.com, publish a few stolen articles, embed ads at strategic points, and sit back to watch their bank accounts soar. And they’ve been told that Linda Ikeji achieved success by simply doing it that way. But when they faced the harsh realities of blogging, they hit the roof — frustrated and disappointed. In their bid to make quick money from blogging, many of these losing bloggers make several mistakes. And many newbies would still fail woefully because they are also (or will most probably soon start) making the same mistakes. Whether you’re just starting out or you’ve been into blogging for a while, you must avoid the following mistakes if you really want to succeed as a blogger. 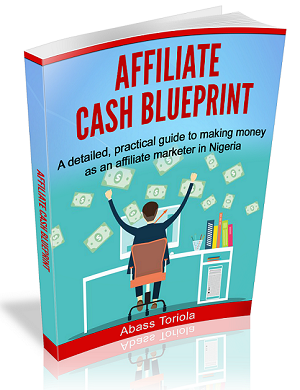 Because of what they’ve learned from greedy, desperate folks who only want to sell ebooks or certain services, many newbies go into blogging hoping to start making money within few days to weeks. Also, I’ve seen “advertise here” pages on blogs that were just days to a few weeks old. And I wondered what the owners of such blogs took blogging to mean. Of course, only foolish advertisers would pay to have their offers promoted on a blog that attracts zero or unit visits per day. Another blunder by Nigerian bloggers, which I’ve seen times without number, is their adoption of silly (and st*pid) tactics for driving traffic to their blogs. Some would concoct and publish false stories just to catch people’s interest. Some would use photo-editing software to design fake pictures and lure people with silly captions. Some would sprinkle links to their blog on online forums, other blogs, and social media pages with massive followership — derailing from the main topic of discussion most of the time. Blogging isn’t a get-rich-quick scheme. Growing a blog to the point where it starts to generate a decent income takes time. It takes dedication. It takes hard work. And it takes consistency. Only after you’ve given all of these (and played by the rules) can you attain success in blogging. Building a huge audience of loyal followers requires publishing authentic, unique, and valuable information. And your traffic will increase gradually with time. 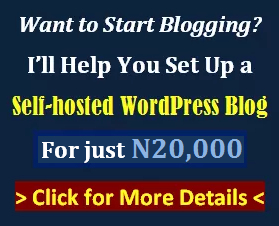 If what you’re looking for is a business that will start fetching you huge profits within days to weeks, blogging is certainly not what you’re looking for. And you’d better not start a blog at all. You see, when you’re trying to achieve success at a faster rate than expected, you would most likely resort to unethical practices just to achieve your goal. Many Nigerian bloggers publish stolen content on their blogs. I mean, content that they practically copied and pasted from other blogs. In fact, my attention was drawn to the useless blog I referred to earlier by one of the articles on the blog, which had been copied directly from a blog I own. When I discovered this, I only asked myself if blogging was by force. Succeeding as a blogger requires publishing original content on a consistent basis. Only by doing this can you build trust and position yourself as an expert in your field. Only by doing this can you build a large audience of loyal followers. 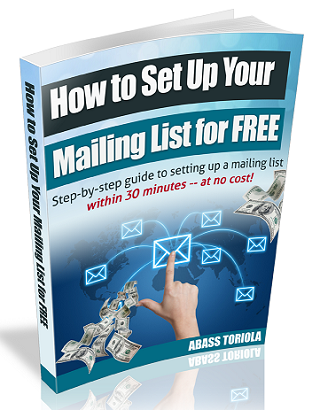 And only by doing this can you make money from blogging in the long term. Google hates duplicate content and penalizes websites and blogs found publishing content copied from elsewhere. So, if you’re a sworn plagiarist, you risk having your blog slapped by Google. Also, most web hosting providers have zero tolerance for copyright infringement. If you’re reported and found guilty of this, you’ll most likely have your blog brought down. Plagiarism is cruel. It’s the hallmark of lazy, heartless folks. If you cannot write original articles or hire a freelance writer to write them for you, then blogging is simply not for you. I cringe whenever I read posts by most Nigerian bloggers; they contain too many errors, mostly unpardonable ones. I’m not trying to place myself on a pedestal here. Neither am I trying to come across as a perfectionist. But I’m trying to emphasize the importance of writing well. Yes, Nigerians aren’t native English speakers. But that’s no excuse for you not to write good English, especially as a blogger. Though you only need to write in clear English that effectively passes your message across, your writing shouldn’t contain too many obvious errors that would piss readers off. Writing in bad grammar makes you come across as a slacker. Worse, you won’t be trusted or taken seriously by your readers. So, it’s very important that you strive to improve your English grammar and writing skills even before you start out as a blogger. Just as you won’t feel safe to buy a product after reading a review of it that was written in very bad English, your readers would be skeptical to take any action that would fetch you money. To improve your writing skills quickly, you can read books such as “The Elements of Style” and “Grammatically Correct.” Also, write frequently (everyday, if possible) and read articles and other write-ups by very good writers. In case you didn’t know, one of the reasons why most Nigerians are bad writers and speakers is that they read and interact bad English every day (on social media and online communities). If you spend more of your time reading online news sites and reputable blogs, you will learn how to write better because the content on those sites is always rendered in correct English. 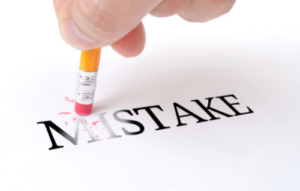 I’ll stop here on these 3 common mistakes. 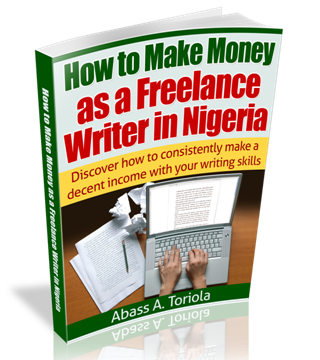 In subsequent posts (probably one or two), I’ll reveal more mistakes that are common among Nigerian bloggers and that ruin their chances of succeeding. Do you agree or disagree with any of the points I made? Do you have any questions or comments? Share your thoughts by leaving a comment. I’ll eagerly respond. If you have other questions not related to this post, click here to meet me in the forum.